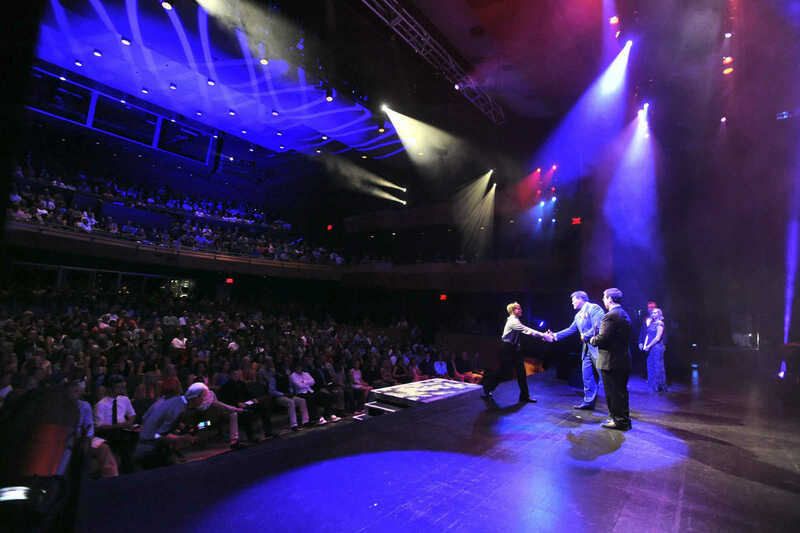 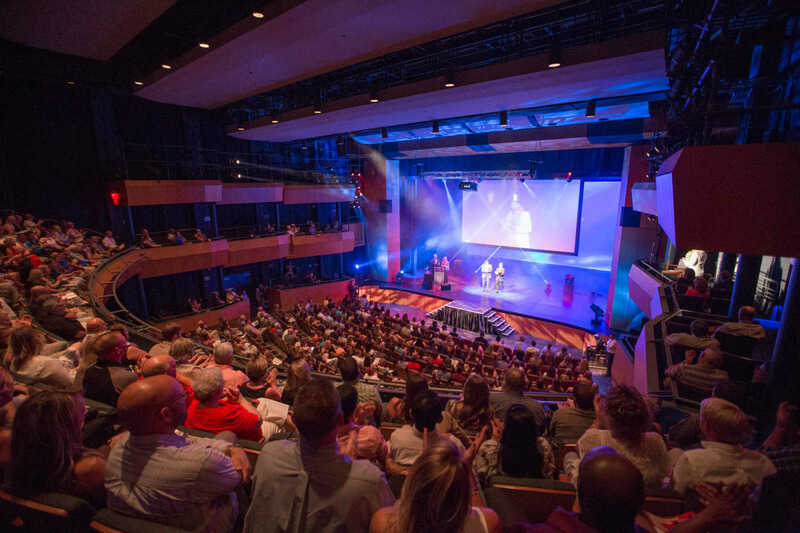 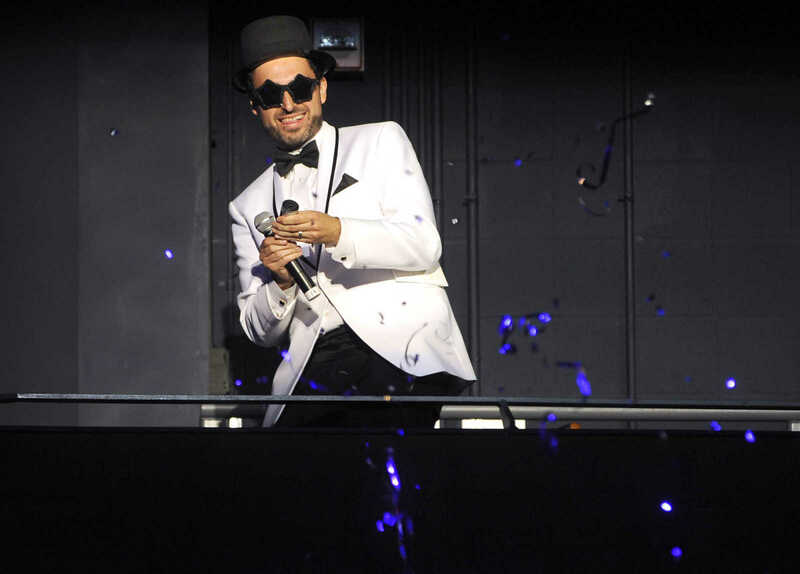 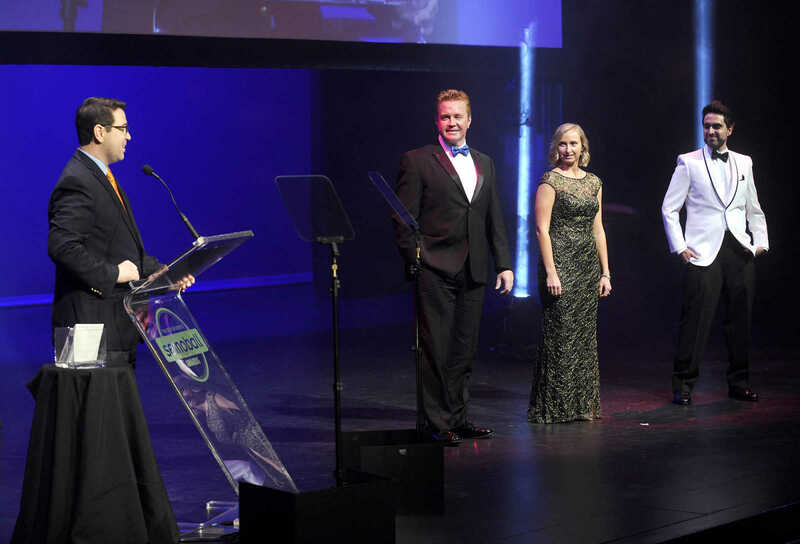 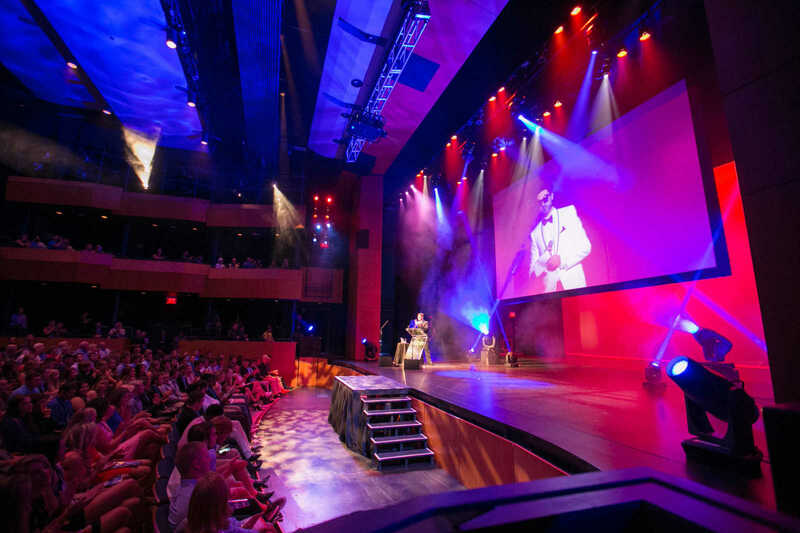 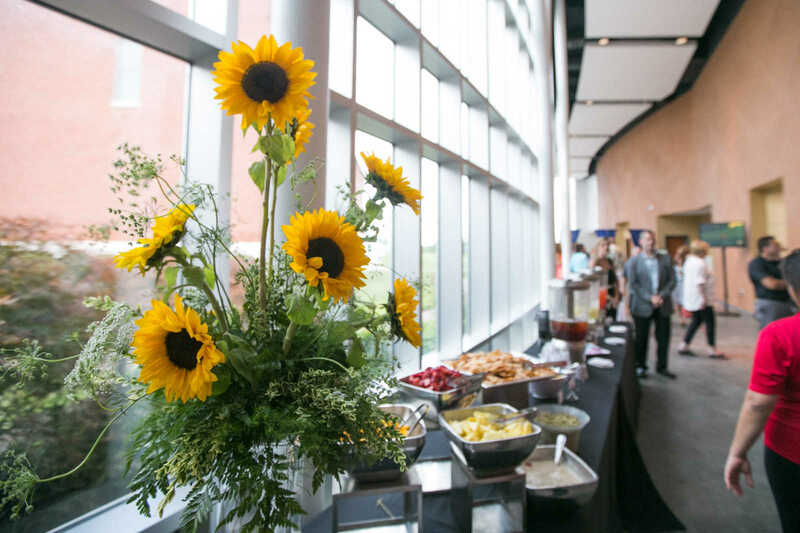 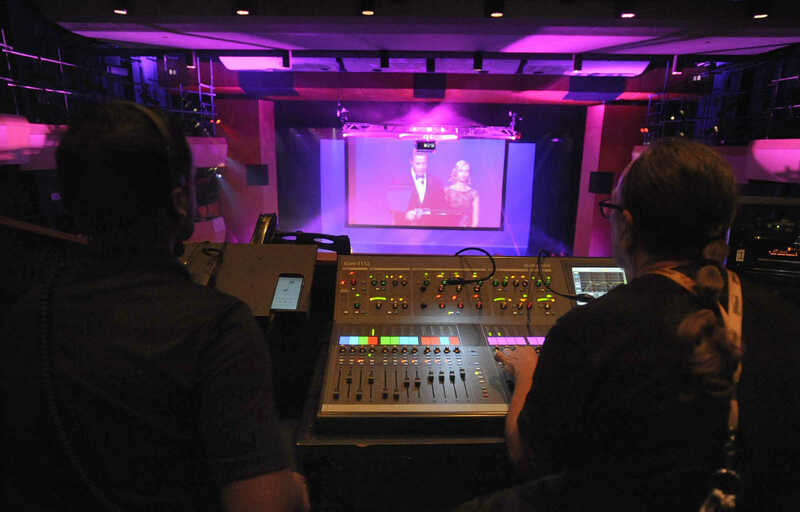 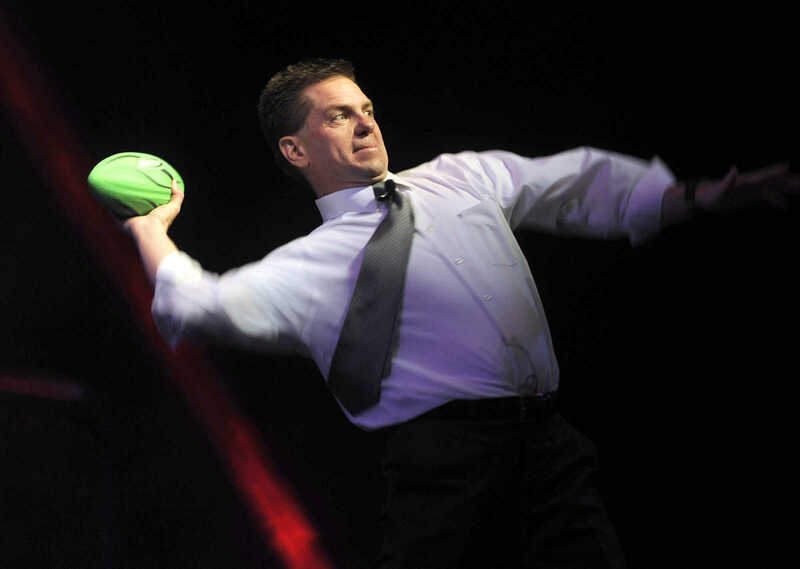 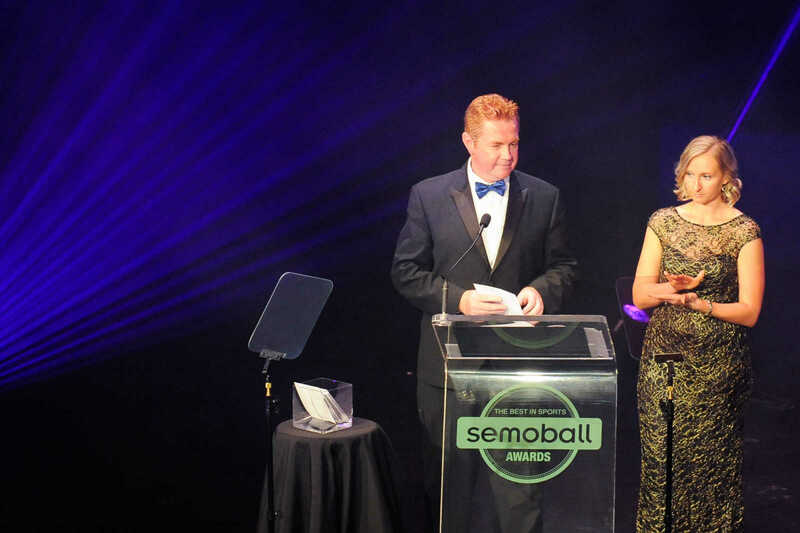 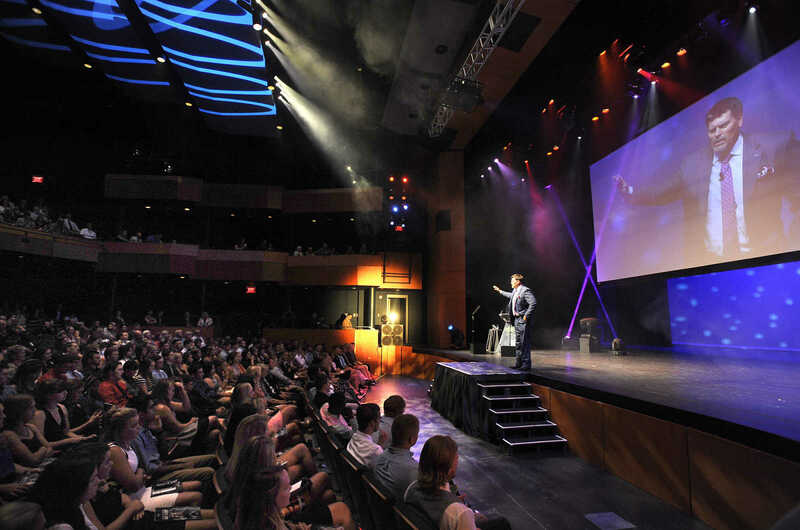 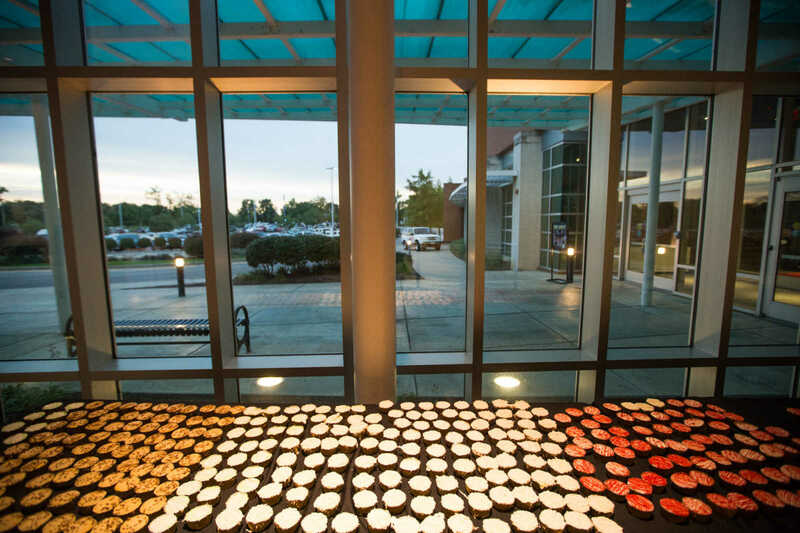 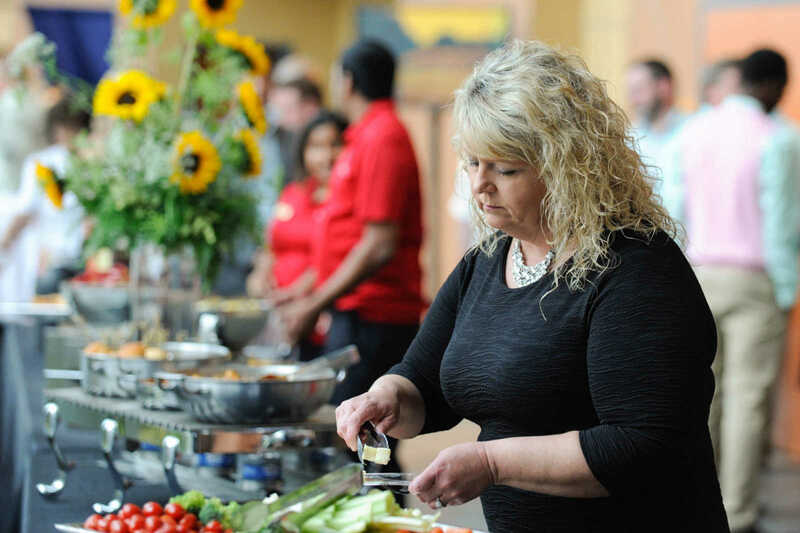 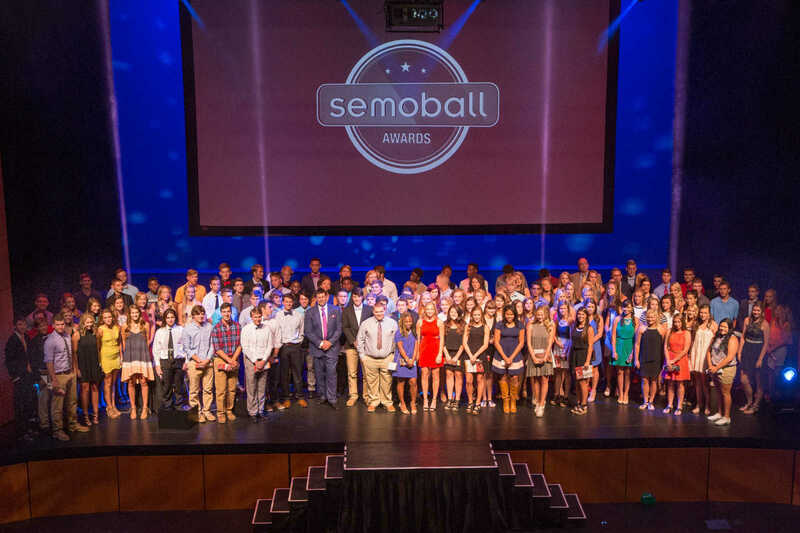 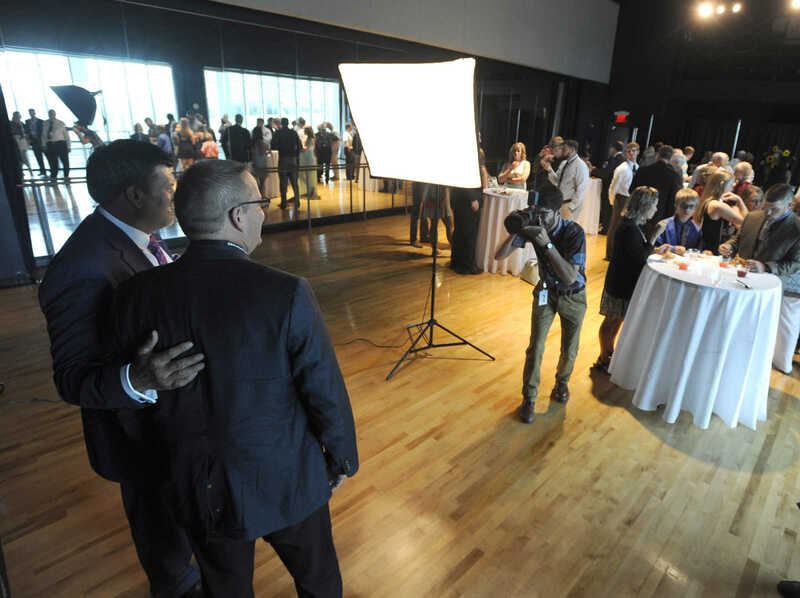 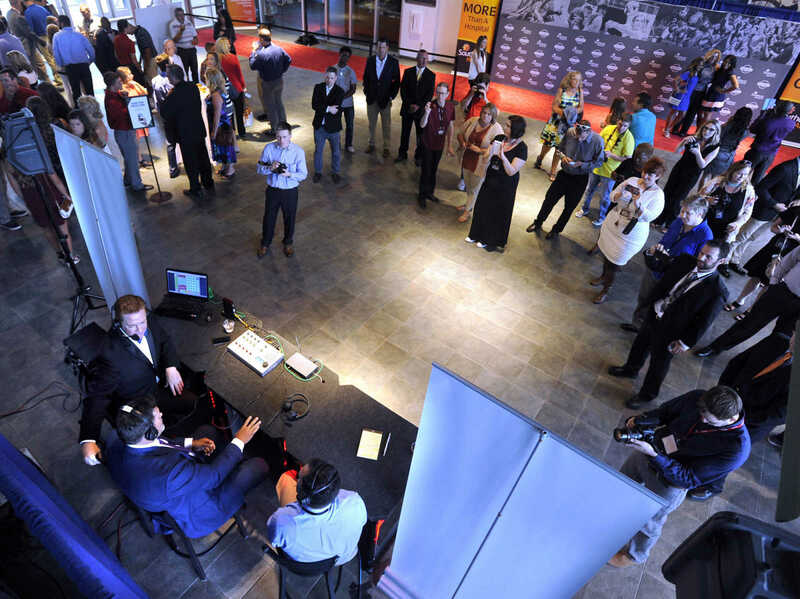 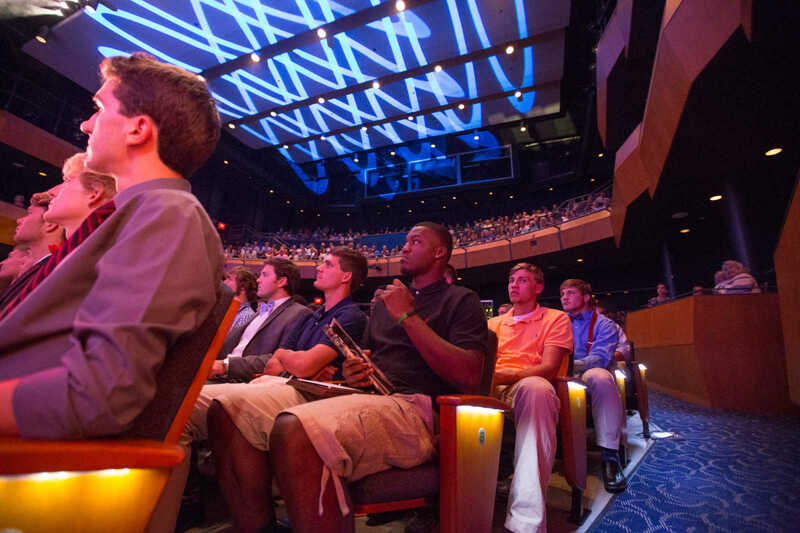 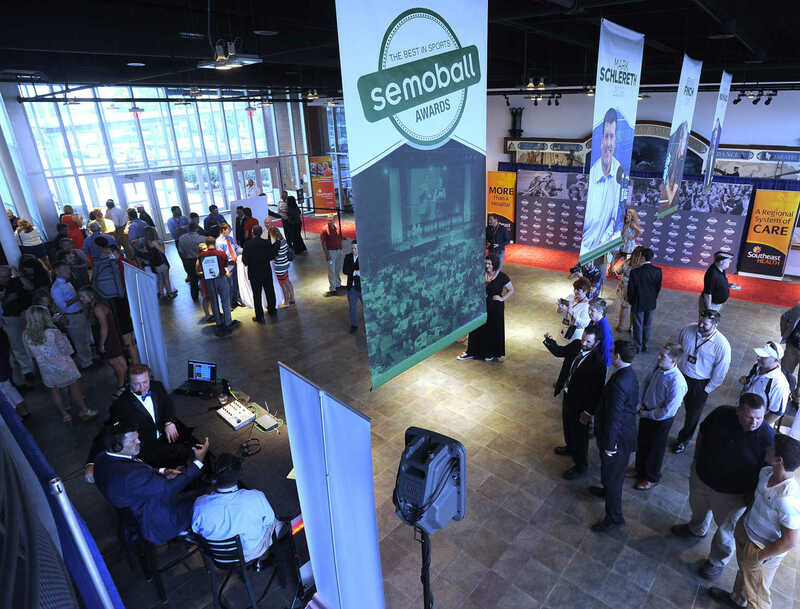 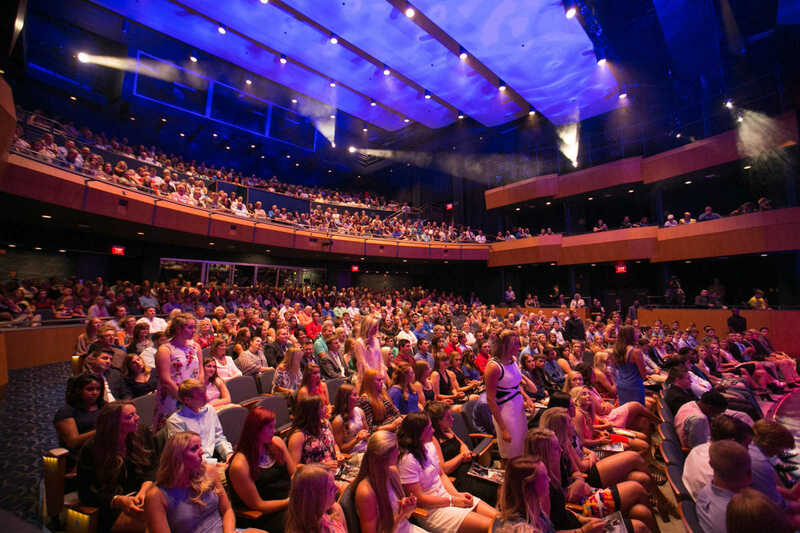 The 2016 Semoball Awards took place on Saturday, July 9, 2016 at Southeast Missouri State University's River Campus in Cape Girardeau. 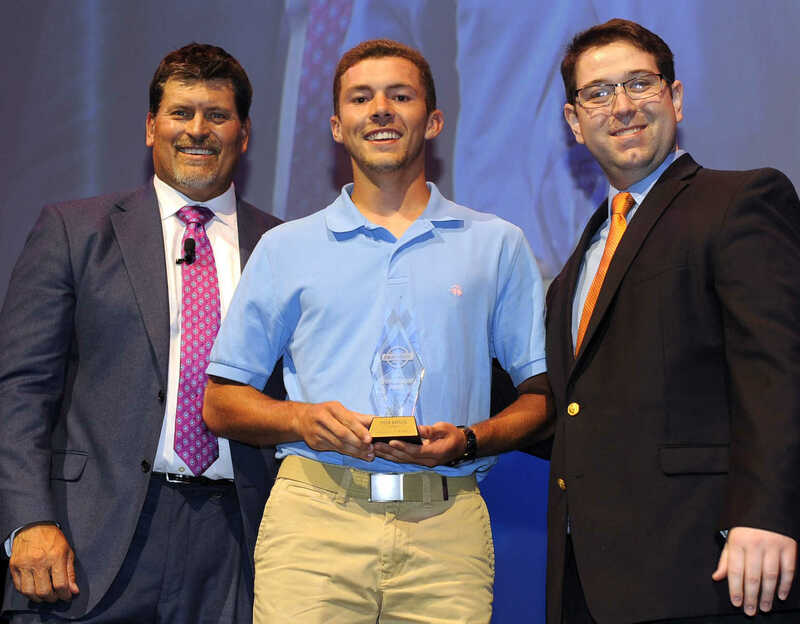 St. Vincent's Levi Krauss receives the Boys Cross Country Athlete of the Year Award from Mark Schlereth, left, and Lucas Presson at the Semoball Awards Saturday, July 9, 2016 at Bedell Performance Hall. 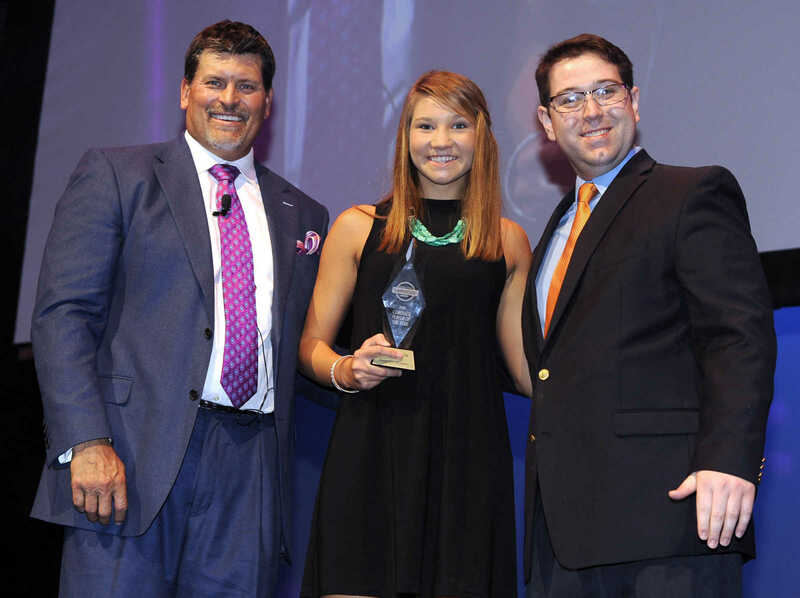 Jackson's Carli Knott receives the Girls Cross Country Athlete of the Year Award from Mark Schlereth, left, and Lucas Presson at the Semoball Awards Saturday, July 9, 2016 at Bedell Performance Hall. 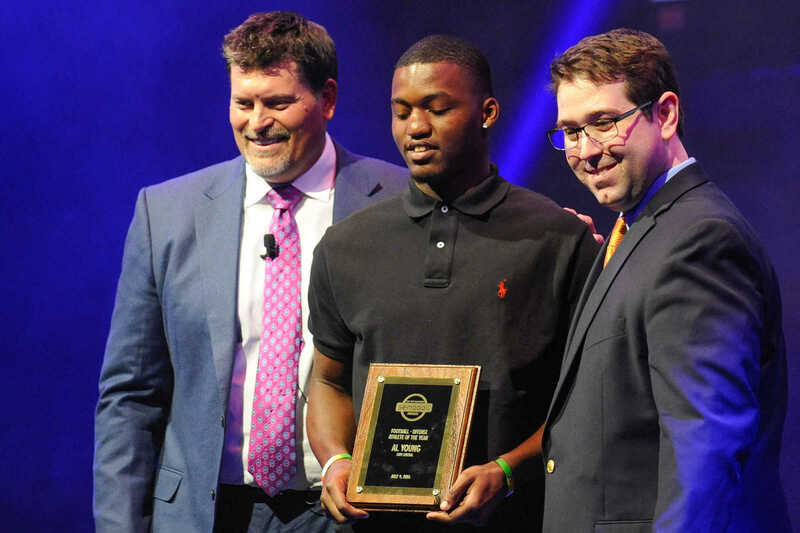 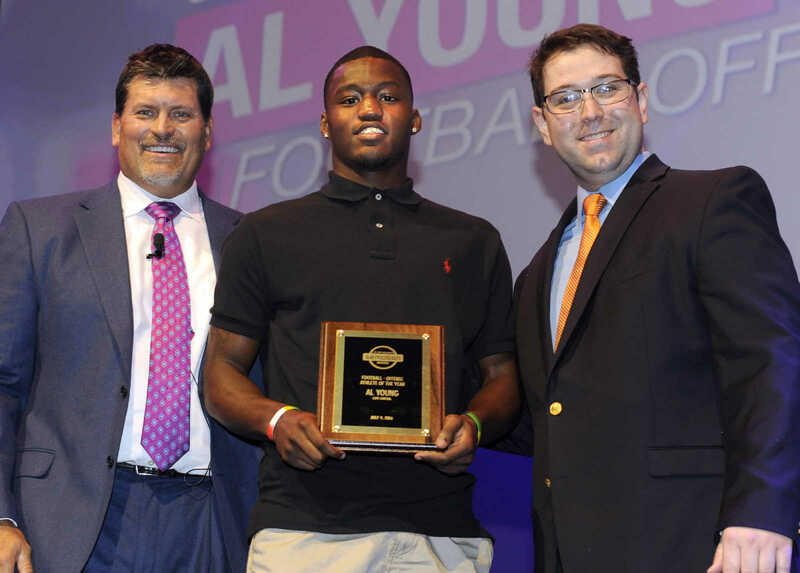 Cape Girardeau Central's Al Young receives the Football Offense Athlete of the Year Award from Mark Schlereth, left, and Lucas Presson at the Semoball Awards Saturday, July 9, 2016 at Bedell Performance Hall. 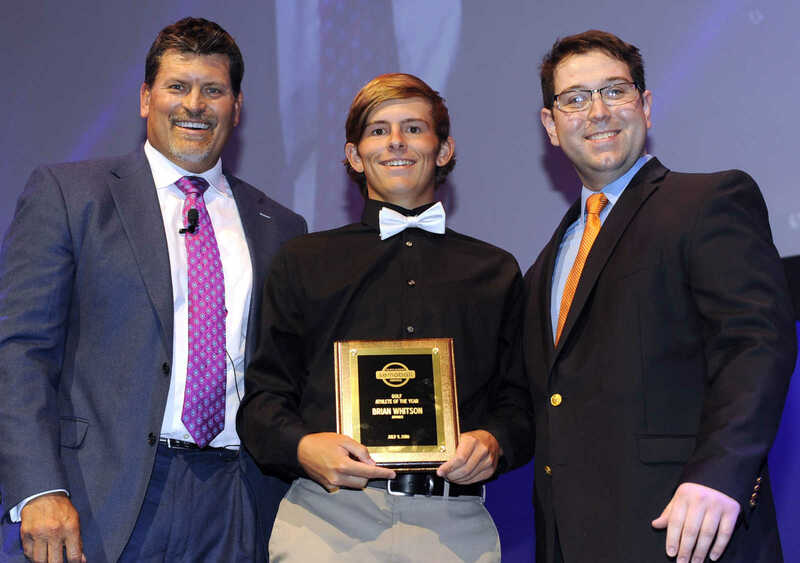 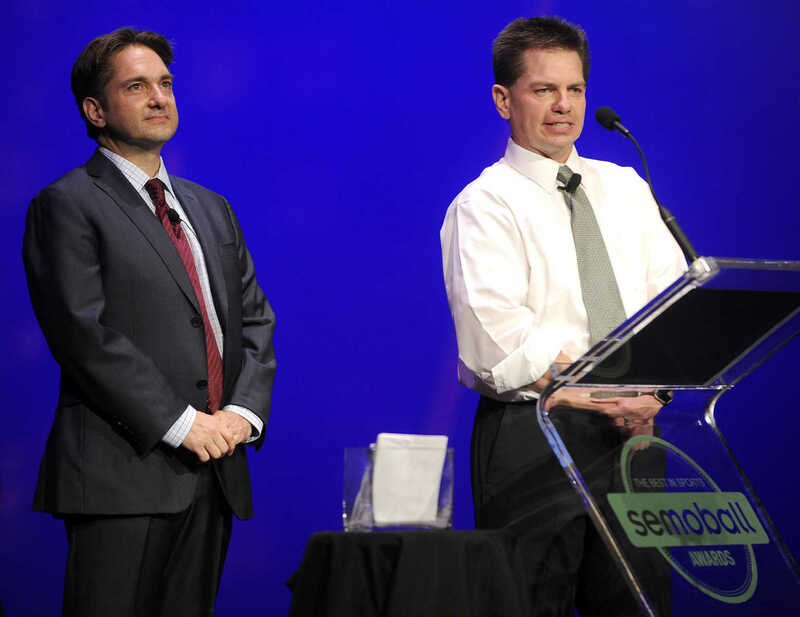 Advance's Brian Whitson receives the Golf Athlete of the Year Award from Mark Schlereth, left, and Lucas Presson at the Semoball Awards Saturday, July 9, 2016 at Bedell Performance Hall. 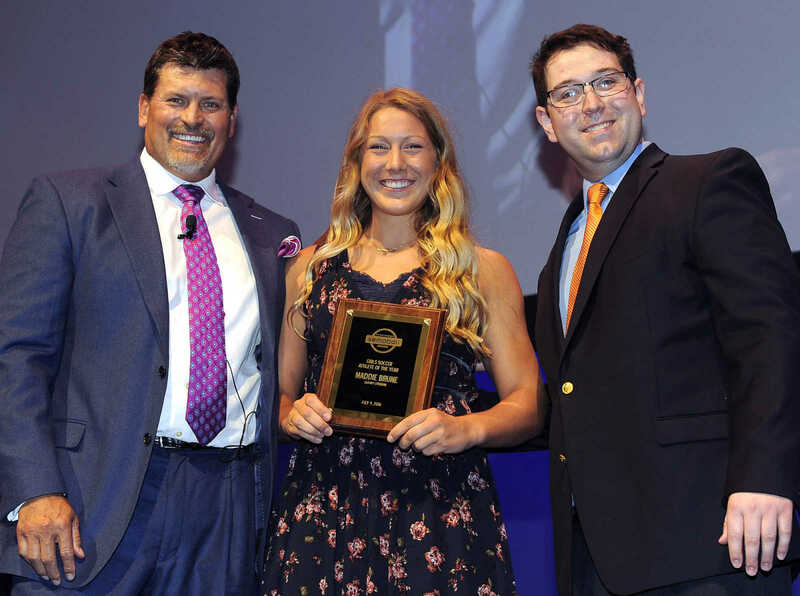 Saxony Lutheran's Maddie Brune receives the Girls Soccer Athlete of the Year Award from Mark Schlereth, left, and Lucas Presson at the Semoball Awards Saturday, July 9, 2016 at Bedell Performance Hall. 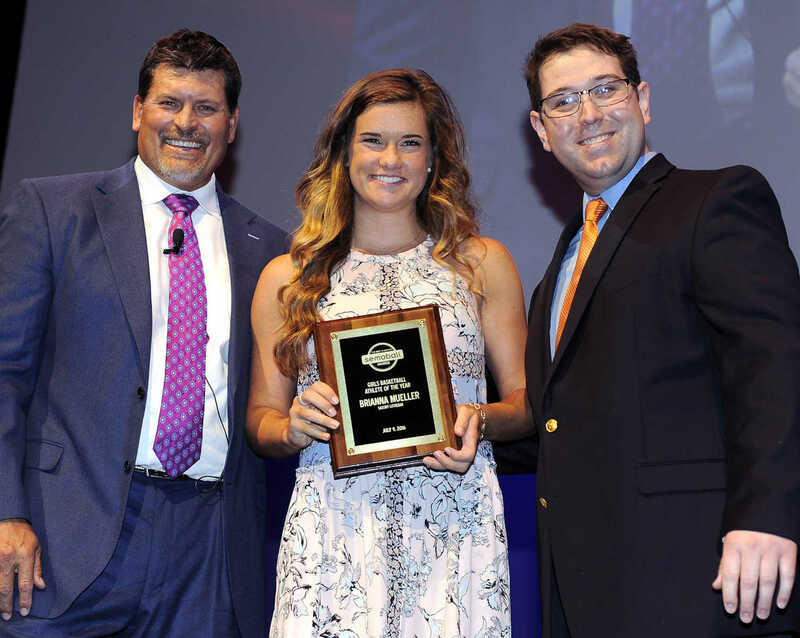 Portageville's Taylor Tiffany receives the Softball Athlete of the Year Award from Mark Schlereth, left, and Lucas Presson at the Semoball Awards Saturday, July 9, 2016 at Bedell Performance Hall. 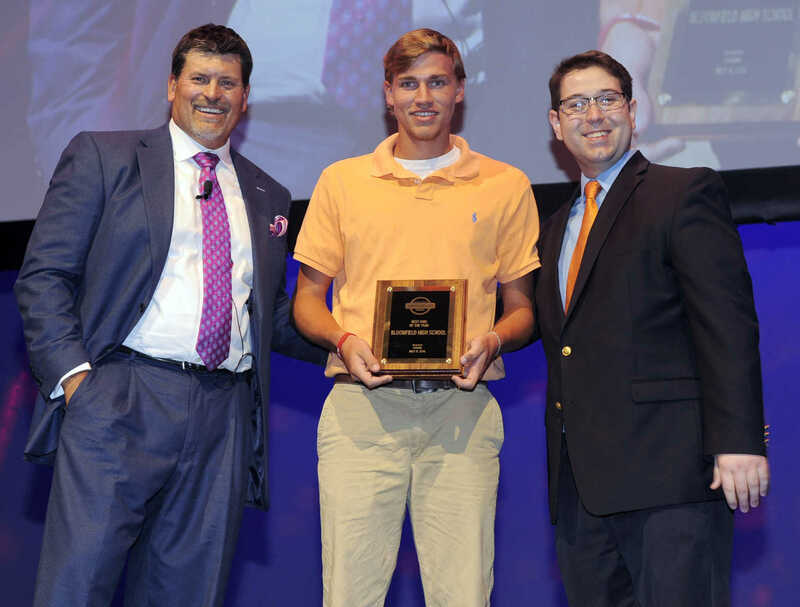 Cape Girardeau Central's Brogan Davis receives the Boys Swimming and Diving Athlete of the Year Award from Mark Schlereth, left, and Lucas Presson at the Semoball Awards Saturday, July 9, 2016 at Bedell Performance Hall. 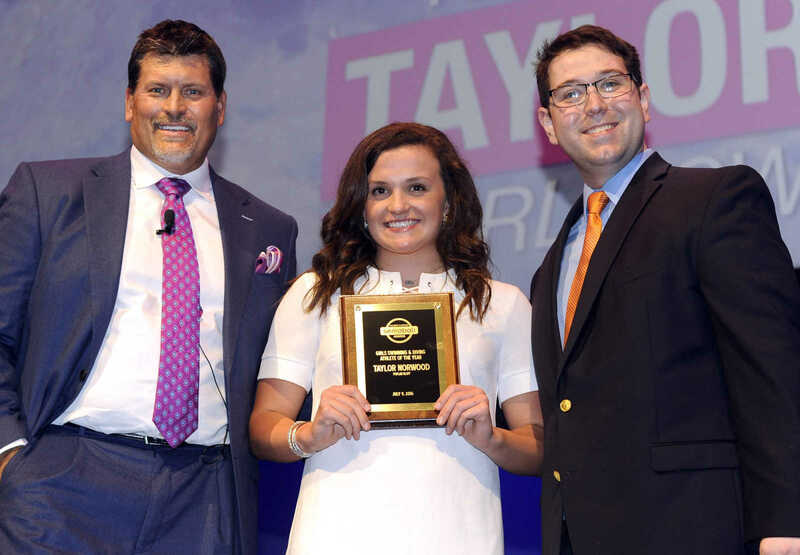 Poplar Bluff's Taylor Norwood receives the Girls Swimming and Diving Athlete of the Year award from Mark Schlereth, left, and Lucas Presson at the Semoball Awards Saturday, July 9, 2016 at Bedell Performance Hall. 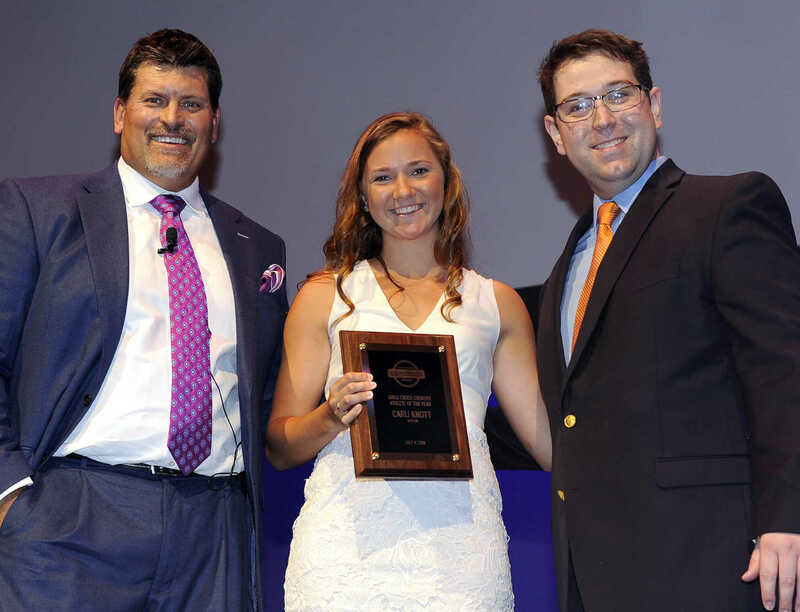 Kennett's Hadley Hilburn receives the Girls Tennis Athlete of the Year Award from Mark Schlereth, left, and Lucas Presson at the Semoball Awards Saturday, July 9, 2016 at Bedell Performance Hall. 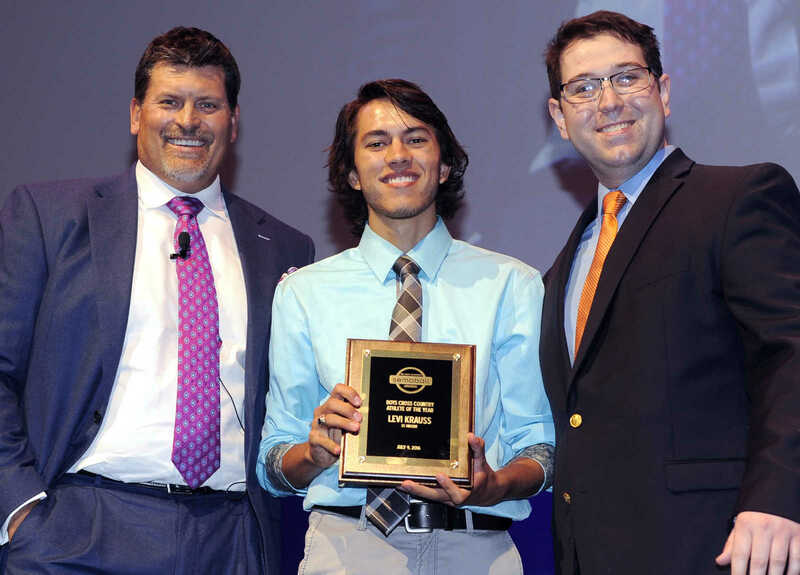 Malden's Nick Thompson receives the Boys Track & Field Athlete of the Year Award from Mark Schlereth, left, and Lucas Presson at the Semoball Awards Saturday, July 9, 2016 at Bedell Performance Hall. 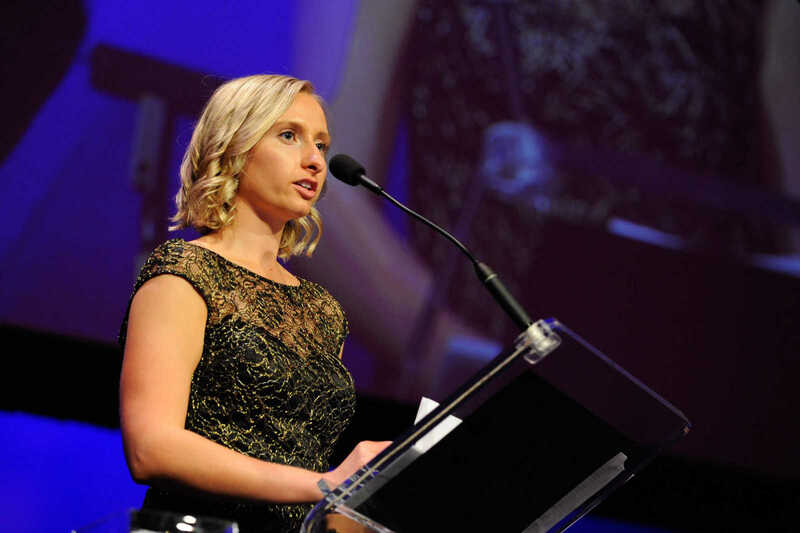 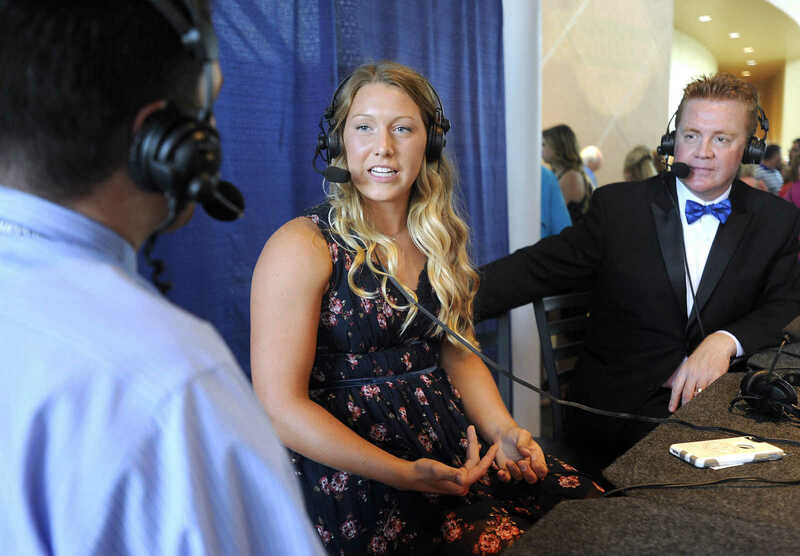 Kim Waldner accepts for her daughter, Makayla Waldner, the Girls Track & Field Athlete of the Year Award from Mark Schlereth, left, and Lucas Presson at the Semoball Awards Saturday, July 9, 2016 at Bedell Performance Hall. 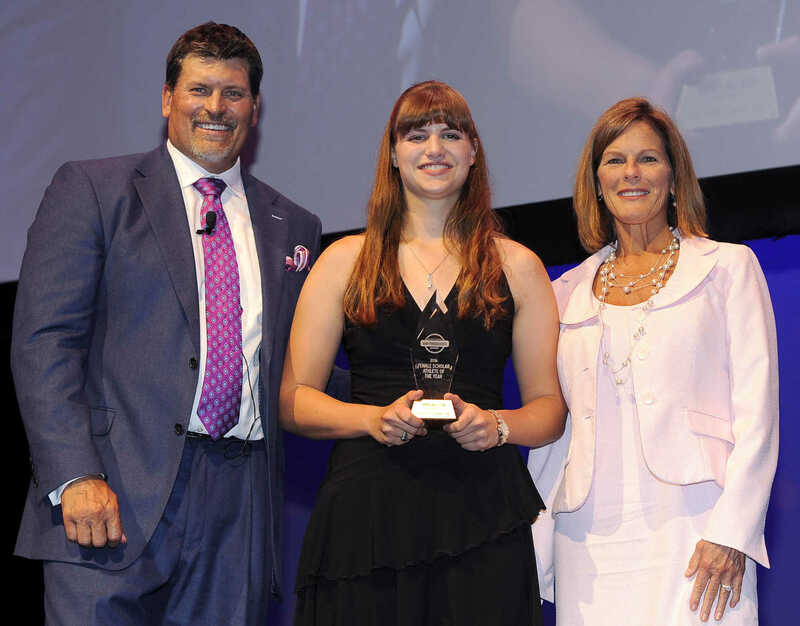 Perryville's Emma Nelson receives the First Midwest Bank Female Scholar Athlete of the Year Award from Mark Schlereth, left, and Kathy Bertrand at the Semoball Awards Saturday, July 9, 2016 at Bedell Performance Hall. 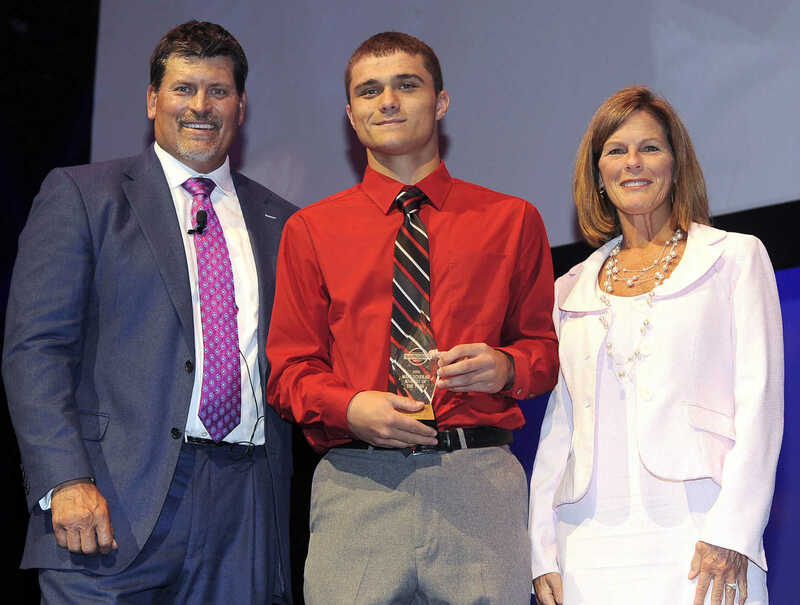 Bell City's Peyton Maddox receives the First Midwest Bank Male Scholar Athlete of the Year Award from Mark Schlereth, left, and Kathy Bertrand at the Semoball Awards Saturday, July 9, 2016 at Bedell Performance Hall. 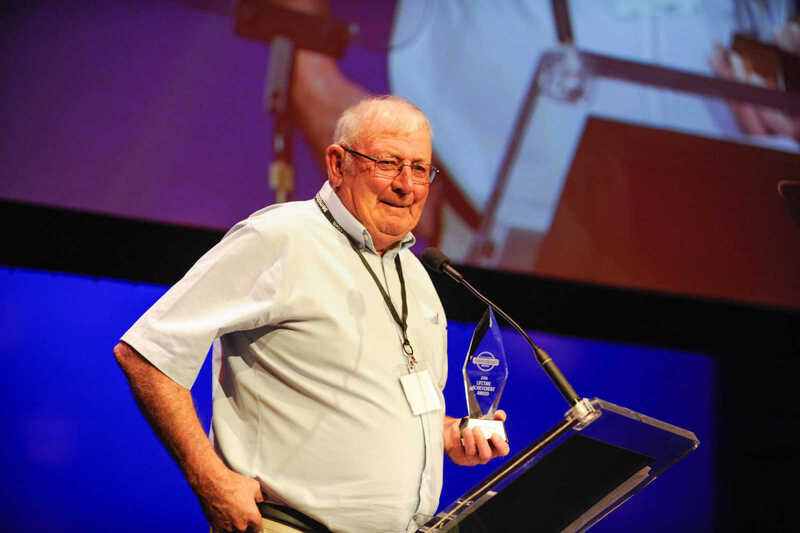 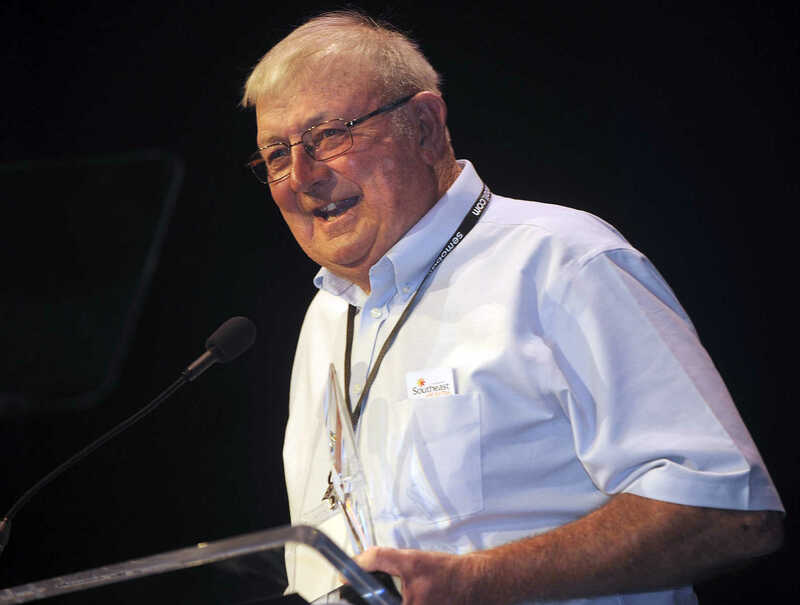 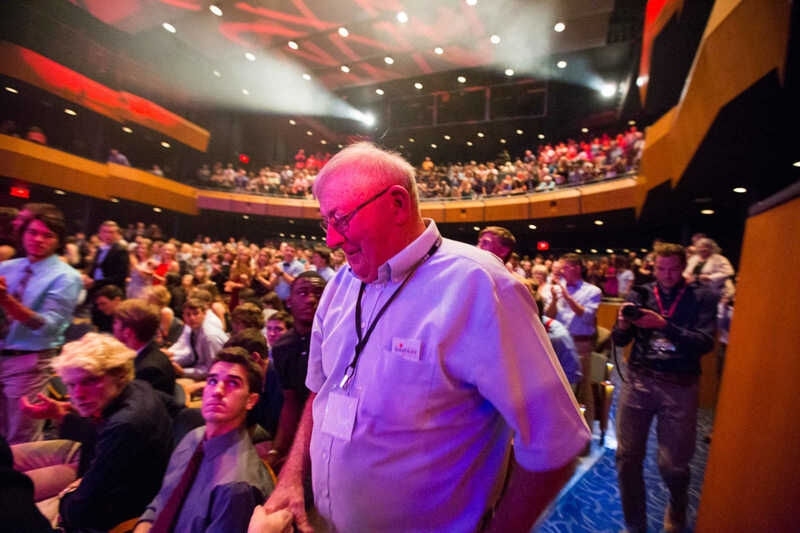 Former Scott County Central coach Ronnie Cookson speaks after receiving the Lifetime Achievement Award at the Semoball Awards Saturday, July 9, 2016 at Bedell Performance Hall. 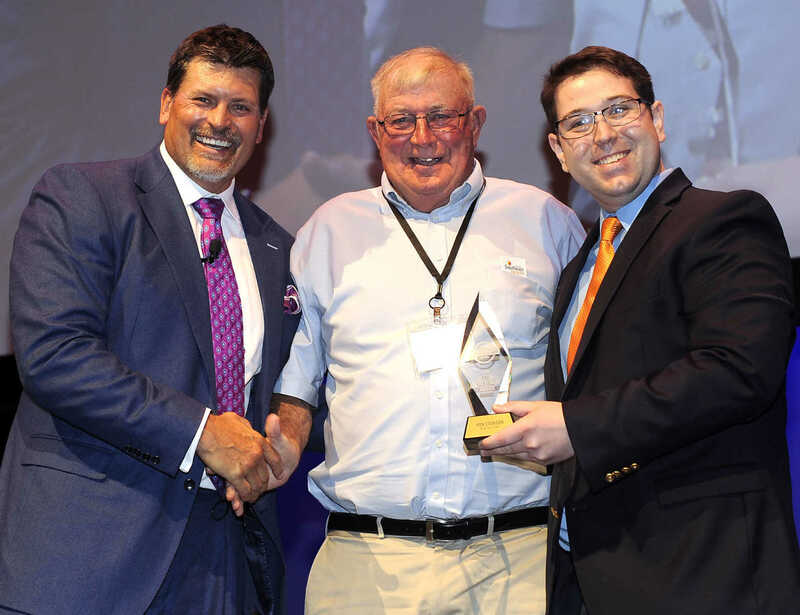 Former Scott County Central coach Ronnie Cookson receives the Lifetime Achievement Award from Mark Schlereth, left, and Lucas Presson at the Semoball Awards Saturday, July 9, 2016 at Bedell Performance Hall. 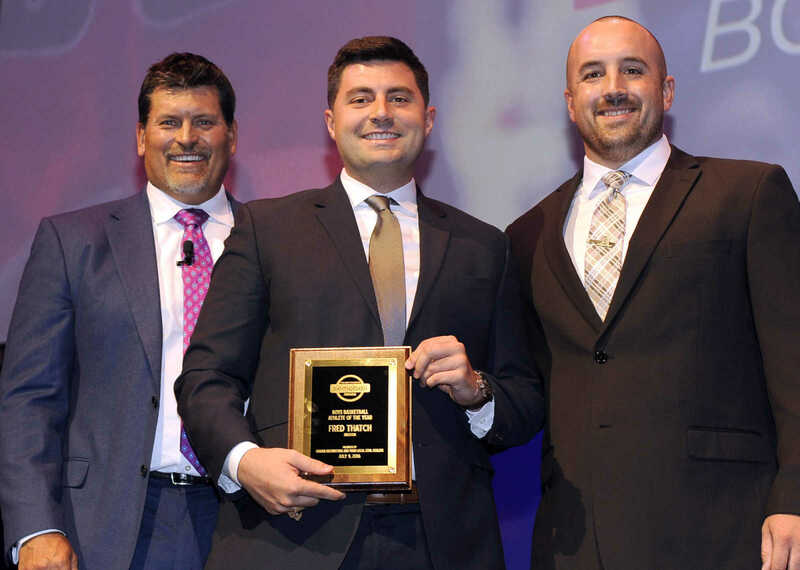 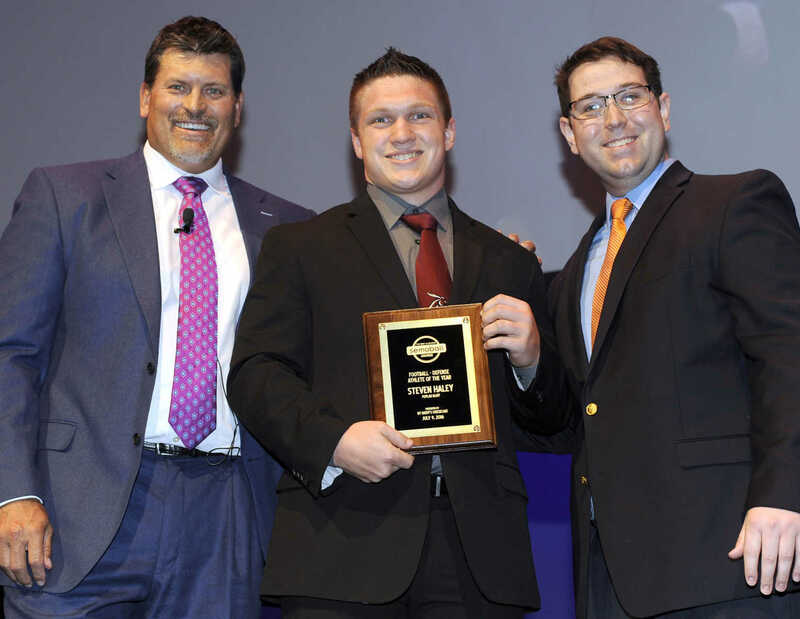 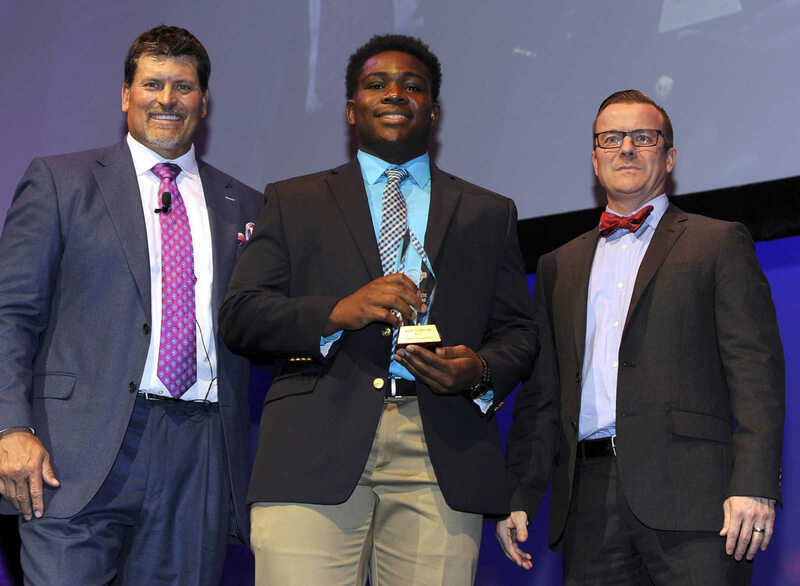 Bloomfield's Tyler Battles receives the Athlon Sports Best in Sportsmanship Award from Mark Schlereth, left, and Lucas Presson at the Semoball Awards Saturday, July 9, 2016 at Bedell Performance Hall. 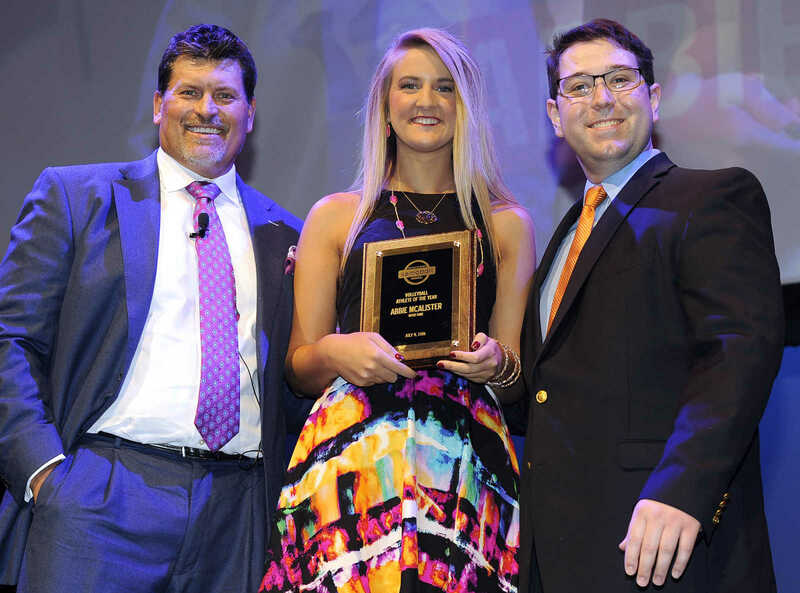 Poplar Bluff's Shelbey Johnson receives the Comeback Player of the Year Award from Mark Schlereth, left, and Lucas Presson at the Semoball Awards Saturday, July 9, 2016 in Cape Girardeau. 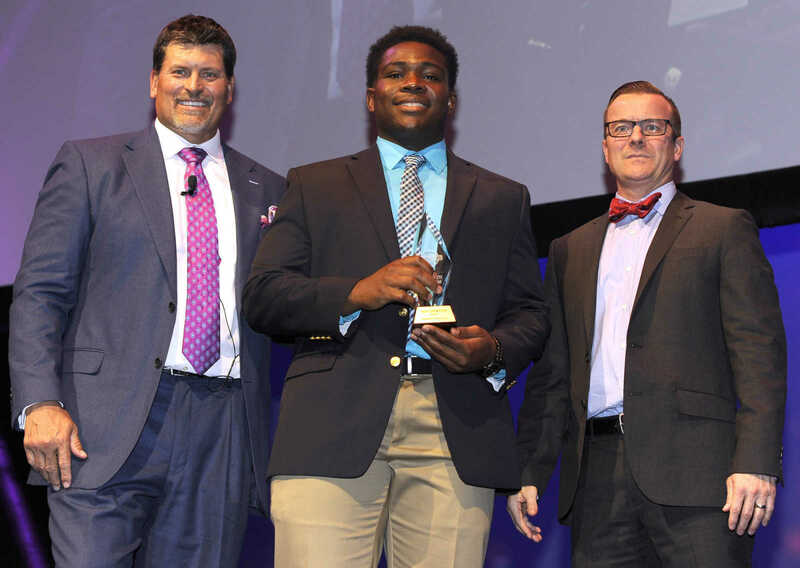 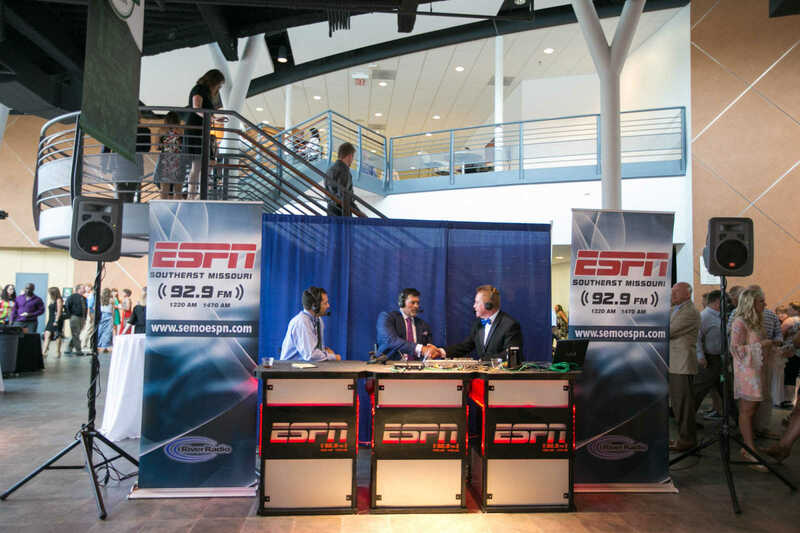 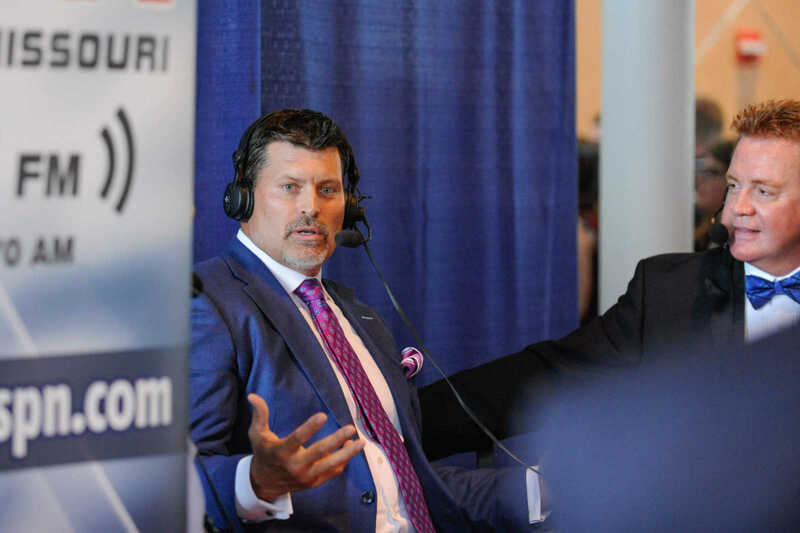 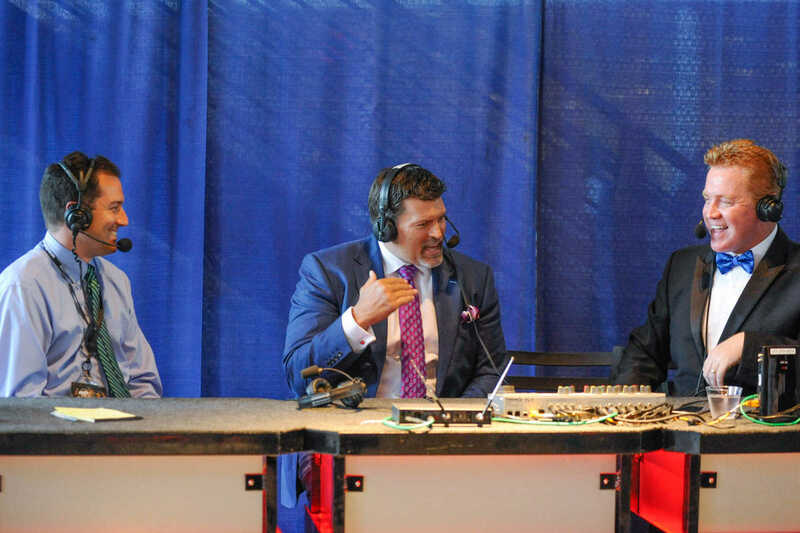 Gideon's Keenan Buchanon receives the SEMO ESPN Coach of the Year Award from Mark Schlereth, left, and Todd Bonacki at the Semoball Awards Saturday, July 9, 2016 at Bedell Performance Hall. 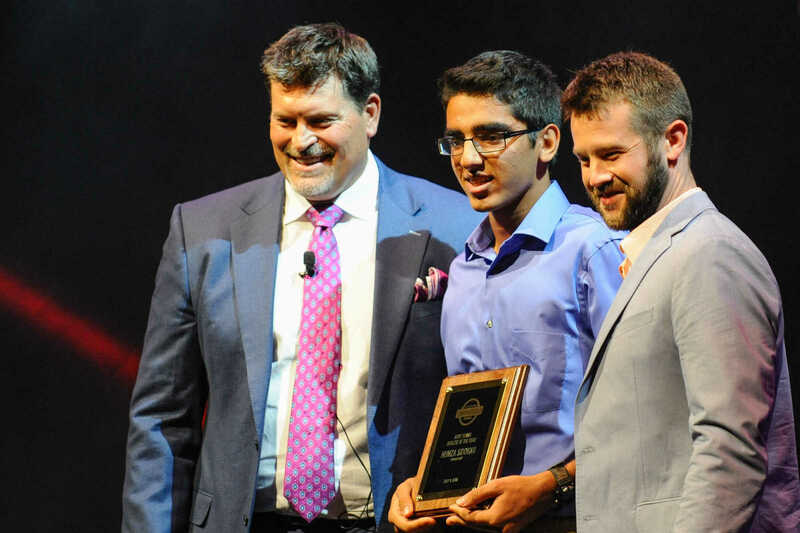 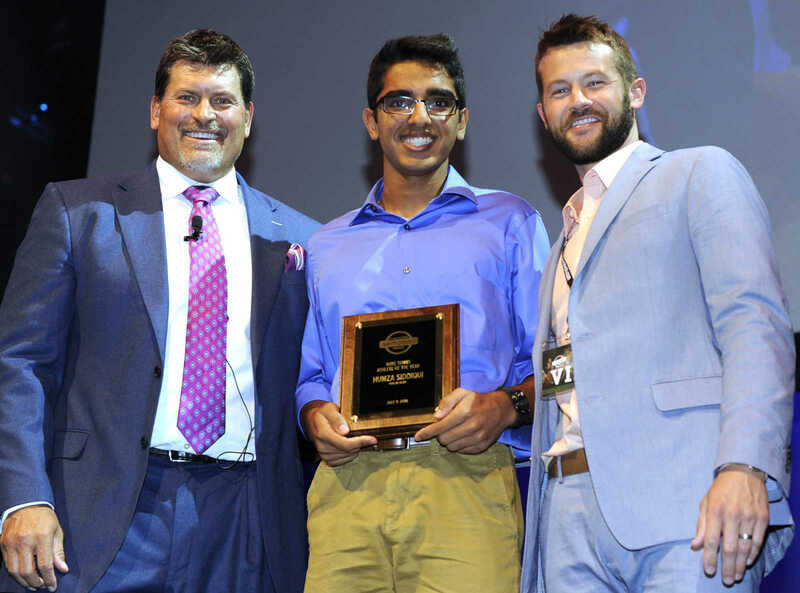 Poplar Bluff's Humza Siddiqui receives the Blattner Endodontic Care Boys Tennis Athlete of the Year Award from Mark Schlereth, left, and Trevor Blattner at the Semoball Awards Saturday, July 9, 2016 in Cape Girardeau. 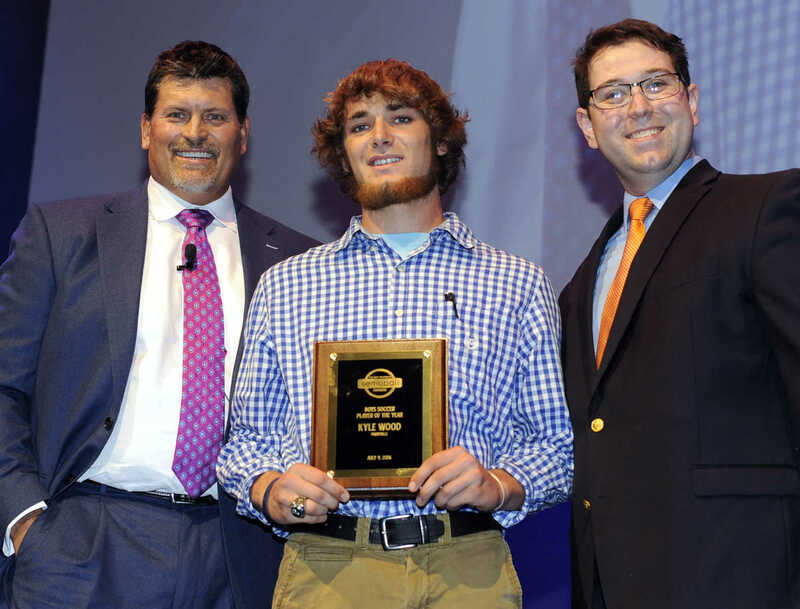 Kent Keith accepts for Poplar Bluff's Kameron Misner the Ford & Sons Funeral Home Baseball Athlete of the Year Award from Mark Schlereth, left, and Rick Wieser at the Semoball Awards Saturday, July 9, 2016 at Bedell Performance Hall. 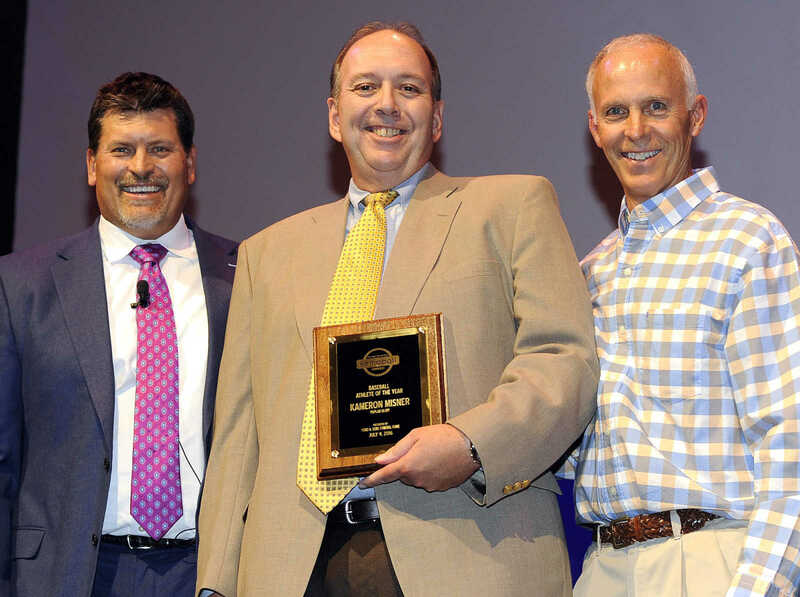 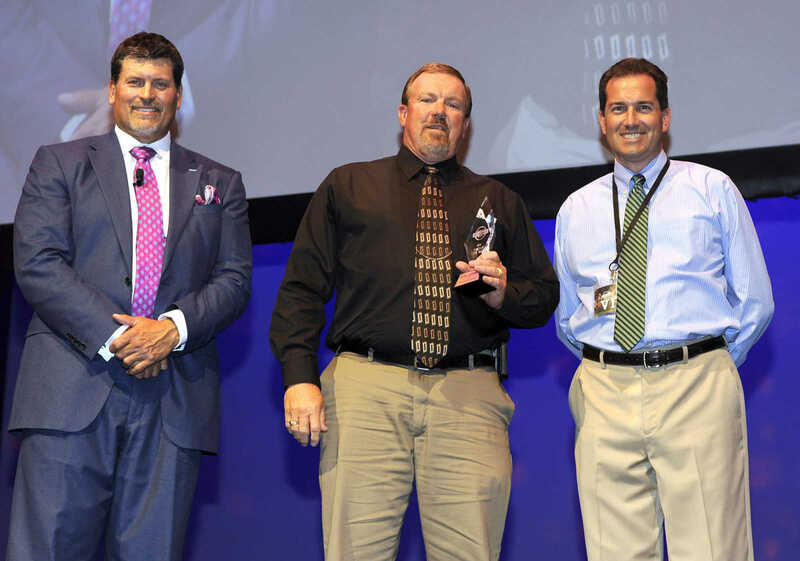 Will Holifield accepts for Fred Thatch the Crader Distributing and your local STIHL dealers Boys Basketball Athlete of the Year Award from Mark Schlereth, left, and Brad Crader at the Semoball Awards Saturday, July 9, 2016 at Bedell Performance Hall. 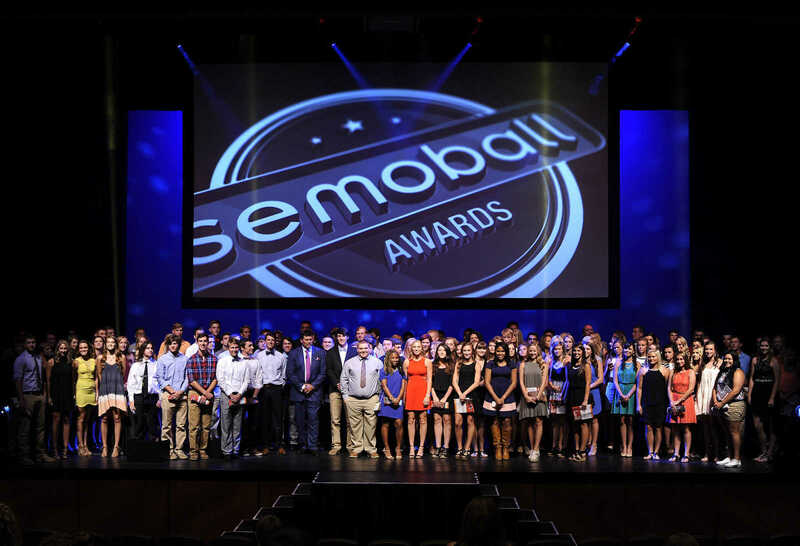 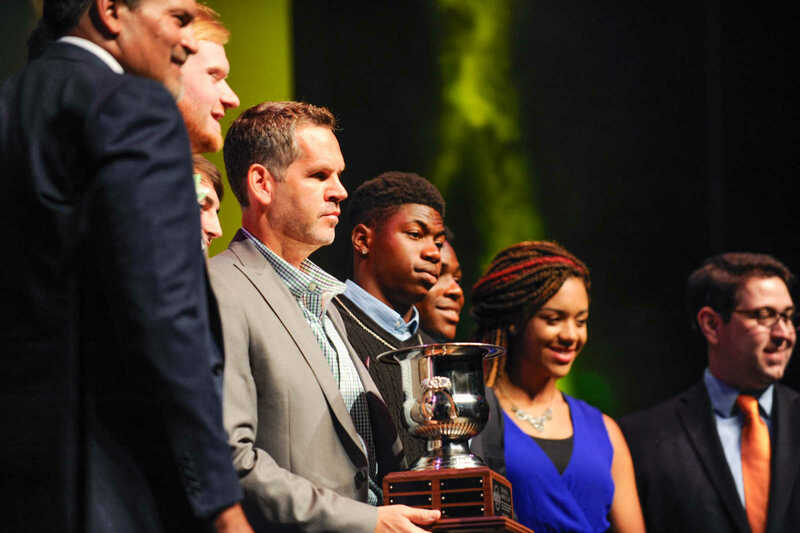 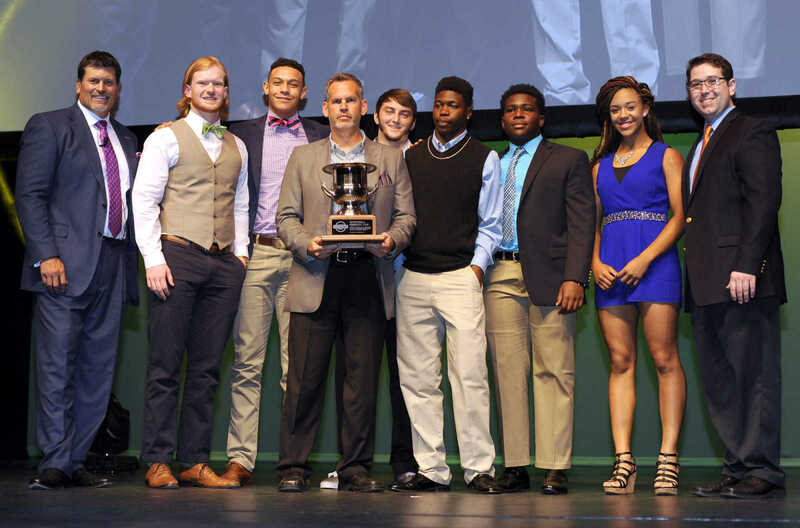 The Semoball Awards Cup is presented to the Malden Green Wave at the Semoball Awards Saturday, July 9, 2016 at Bedell Performance Hall. 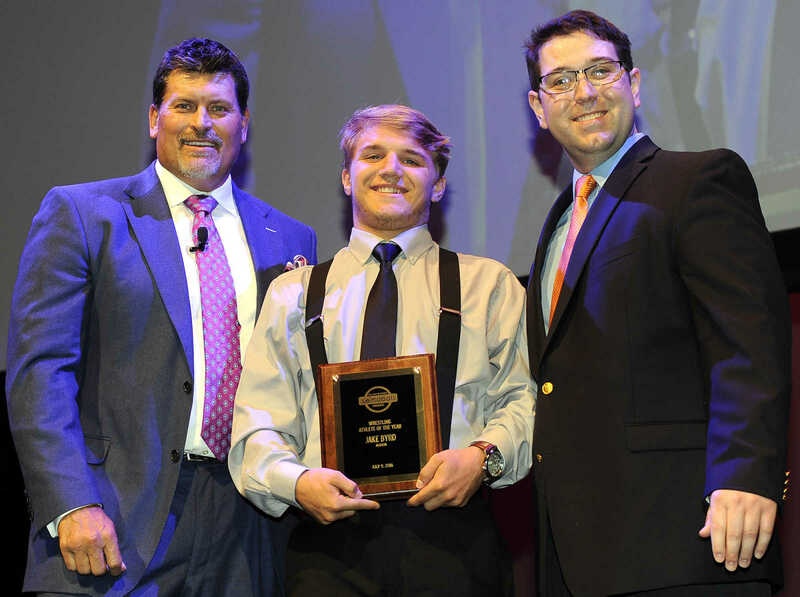 Steven Haley of Poplar Bluff, Missouri receives the My Daddy's Cheesecake Football Defense Athlete of the Year Award from Mark Schlereth, left, and Lucas Presson at the Semoball Awards Saturday, July 9, 2016 in Cape Girardeau. 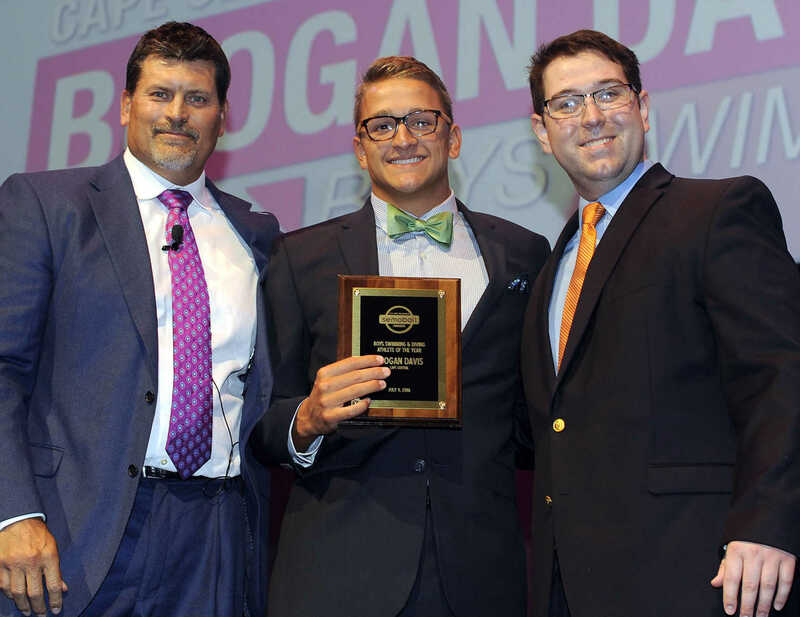 Noah Vandiver receives the rustmedia Best Fans of the Year Award for Bloomfield High School from Mark Schlereth, left, and Lucas Presson at the Semoball Awards Saturday, July 9, 2016 at Bedell Performance Hall. 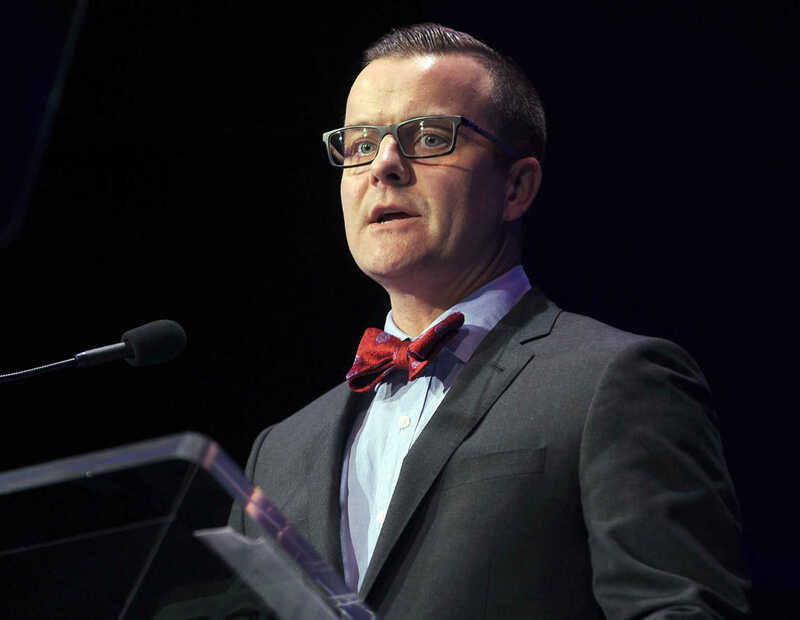 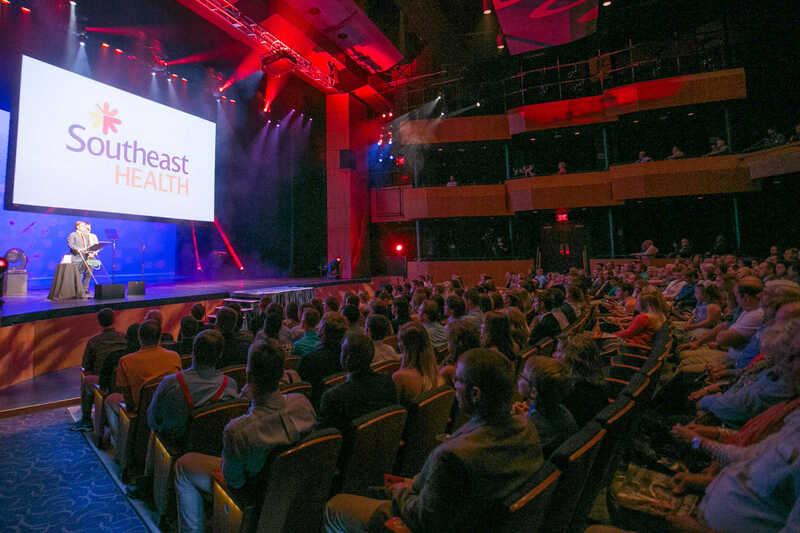 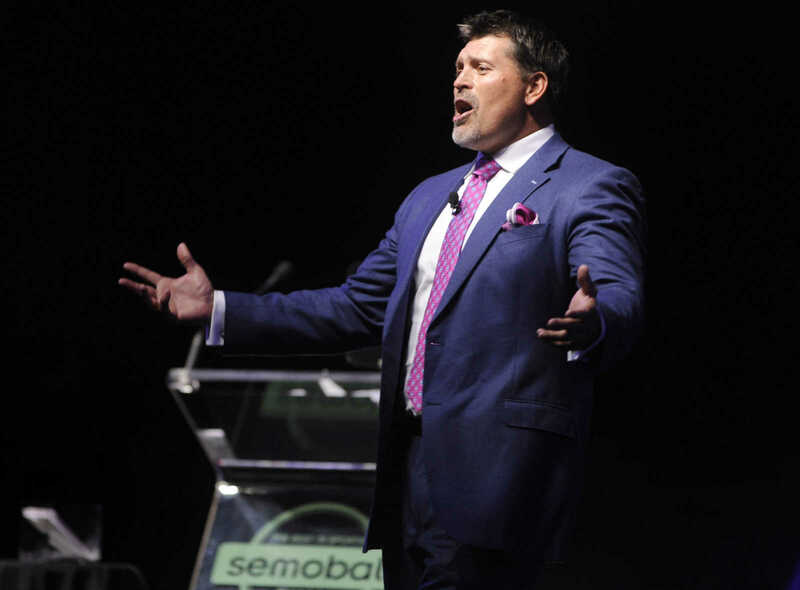 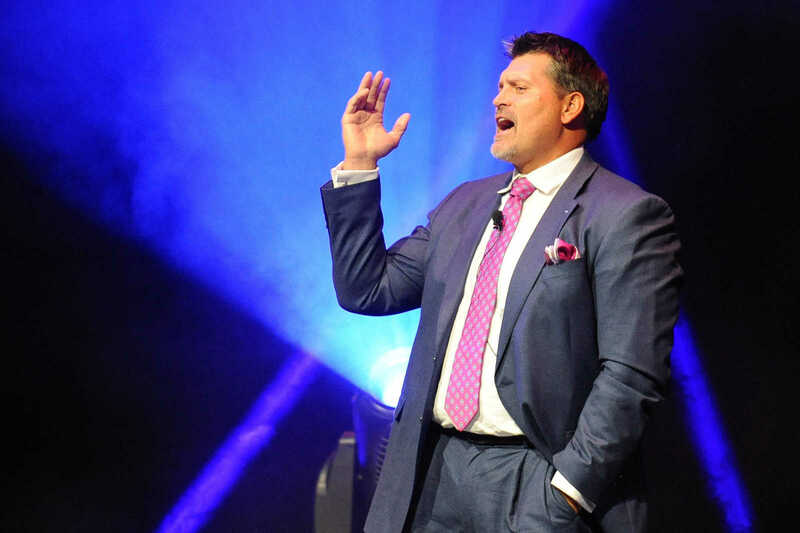 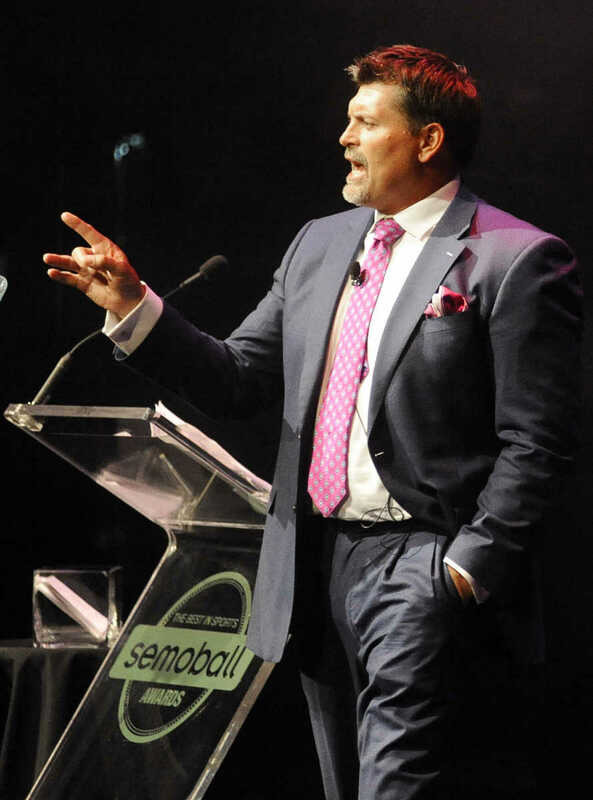 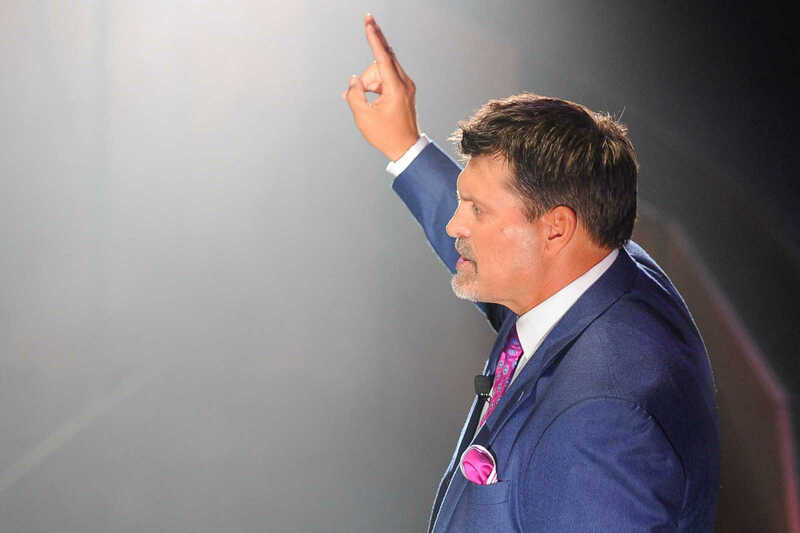 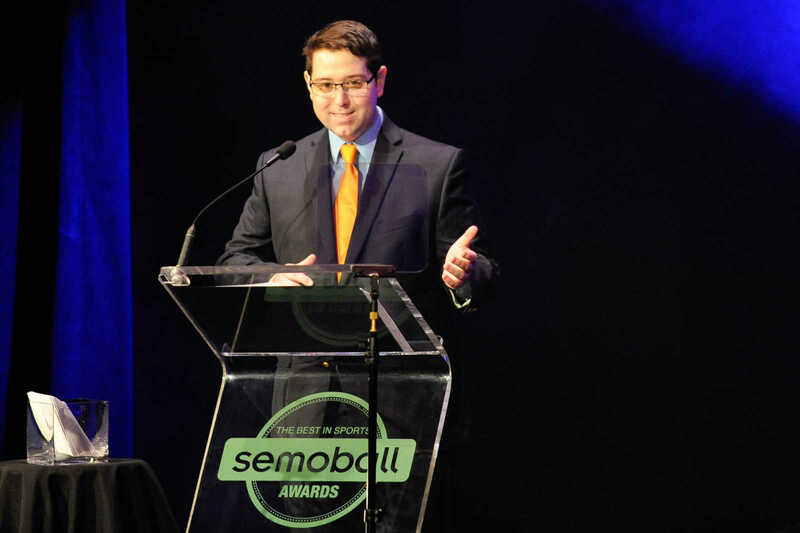 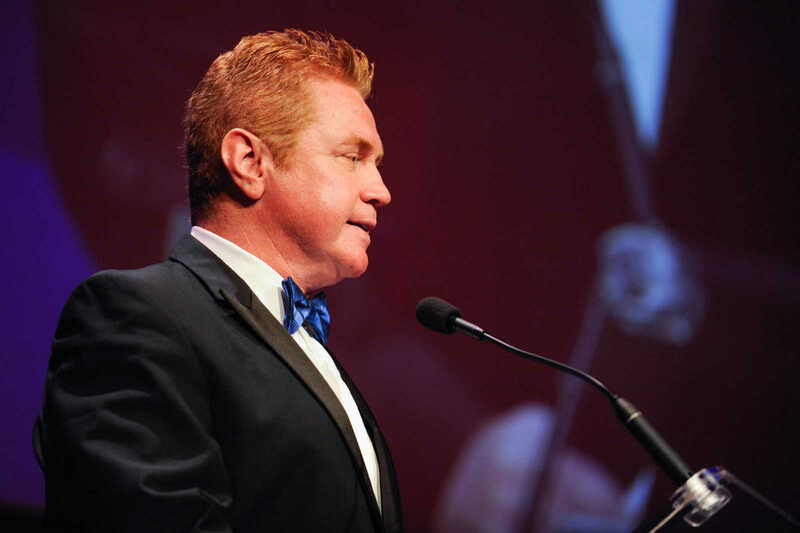 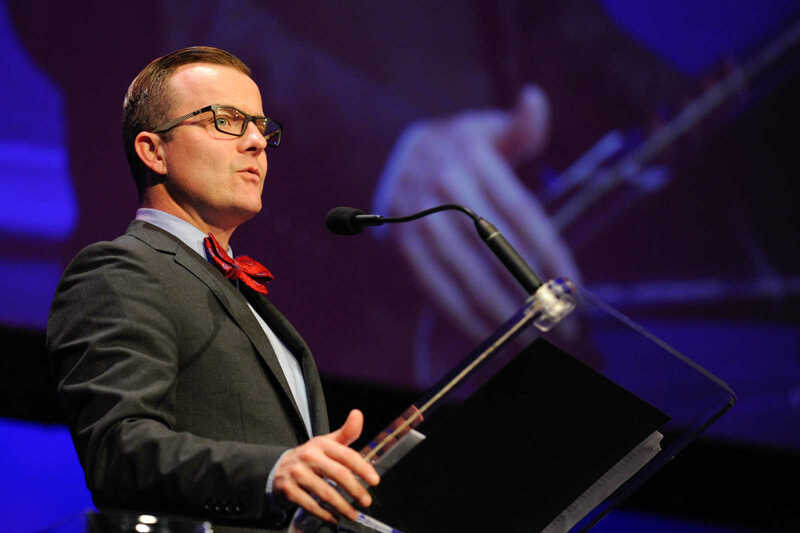 Dr. Matthew Shoemaker with presenting sponsor SoutheastHEALTH speaks before presenting the Male and Female Athlete of the Year Awards at the Semoball Awards Saturday, July 9, 2016 at Bedell Performance Hall. 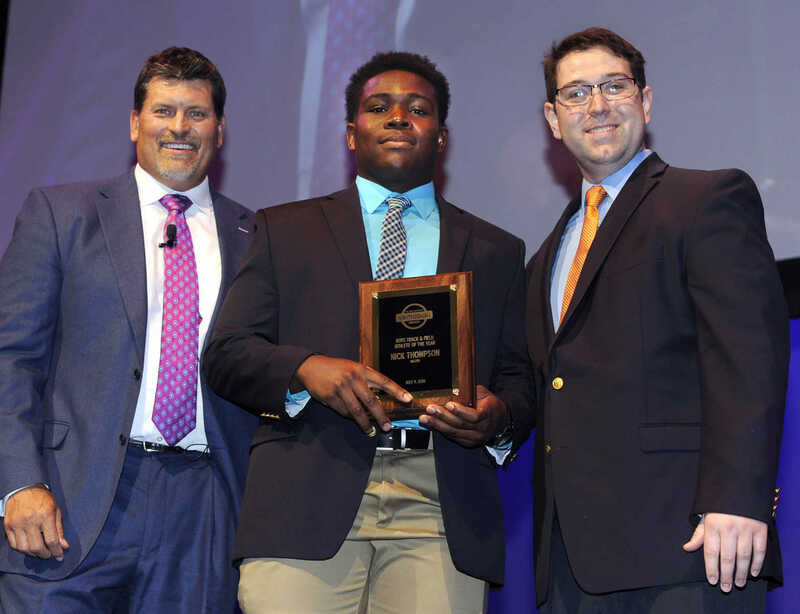 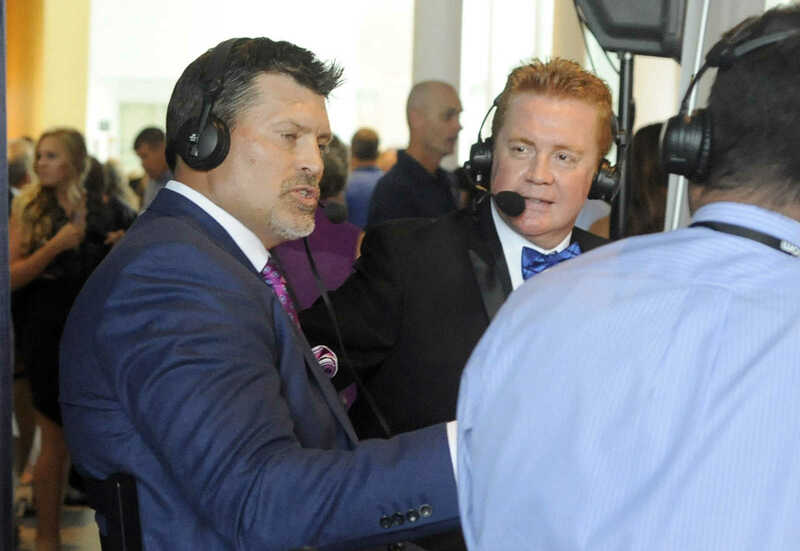 Malden's Nick Thompson receives the SoutheastHEALTH Male Athlete of the Year Award from Mark Schlereth, left, and Dr. Matthew Shoemaker at the Semoball Awards Saturday, July 9, 2016 in Cape Girardeau. 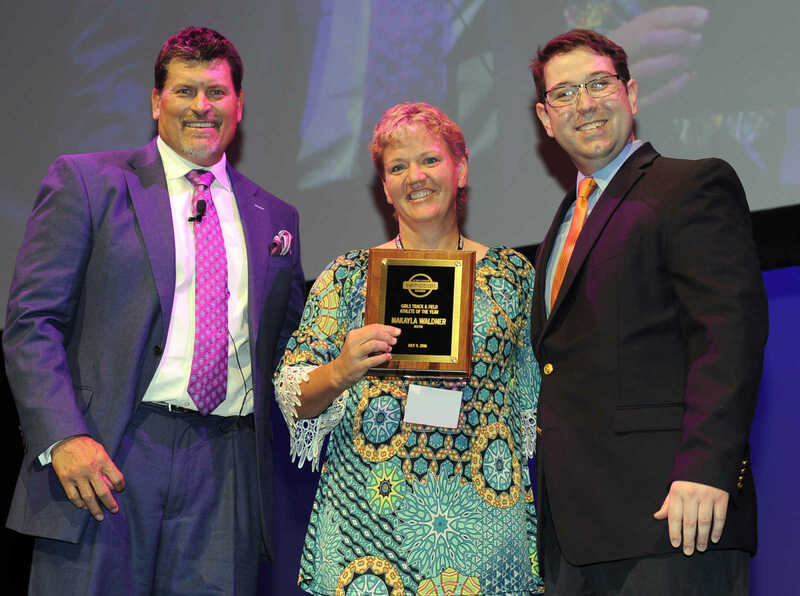 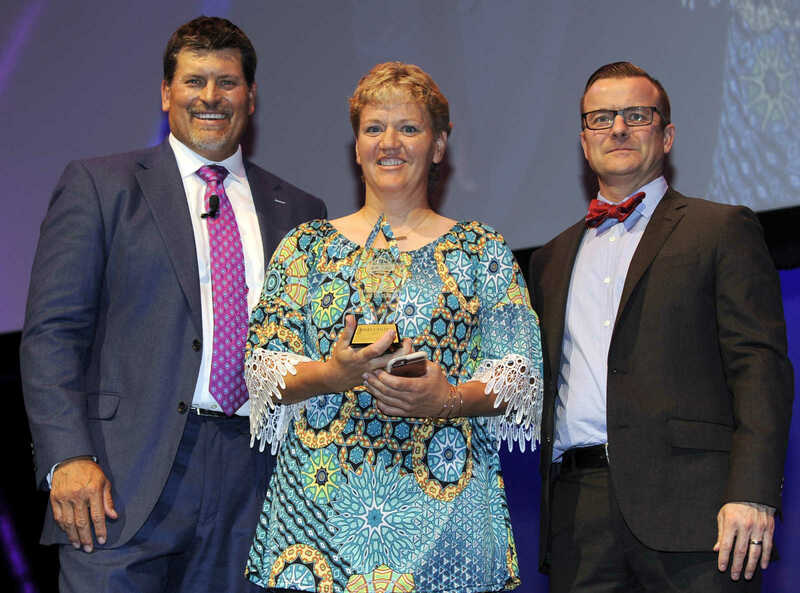 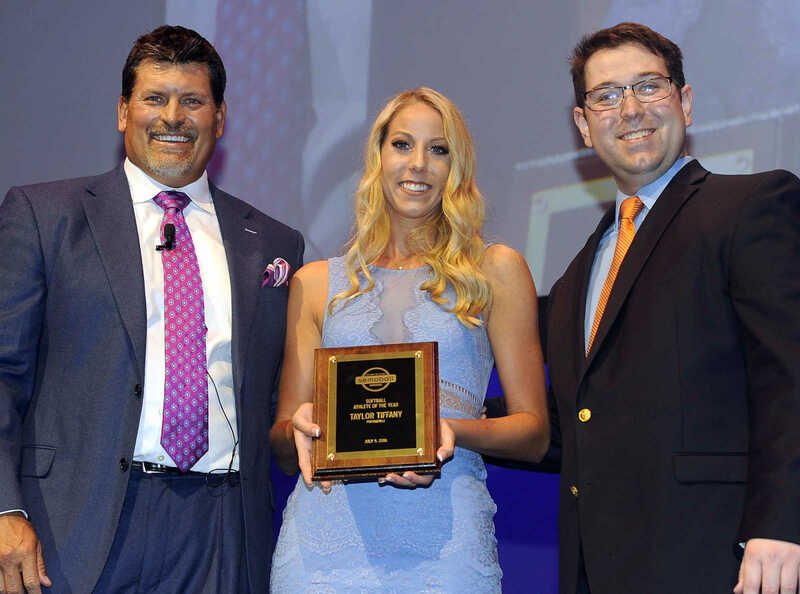 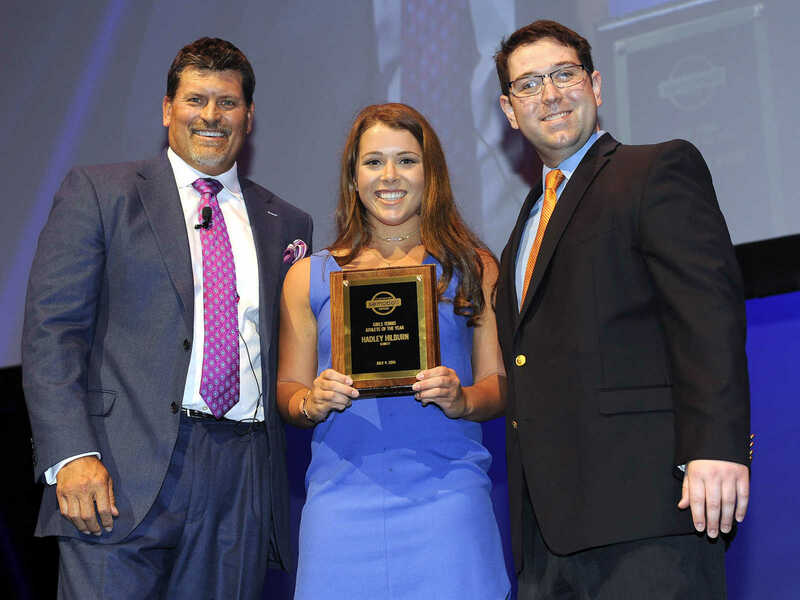 Kim Waldner accepts for her daughter, Dexter's Makayla Waldner, the SoutheastHEALTH Female Athlete of the Year Award from Mark Schlereth, left, and Dr. Matthew Shoemaker at the Semoball Awards Saturday, July 9, 2016 at Bedell Performance Hall.